This Zola Parma Shirt #10 Away 1995-1996 is an original classic football shirt. 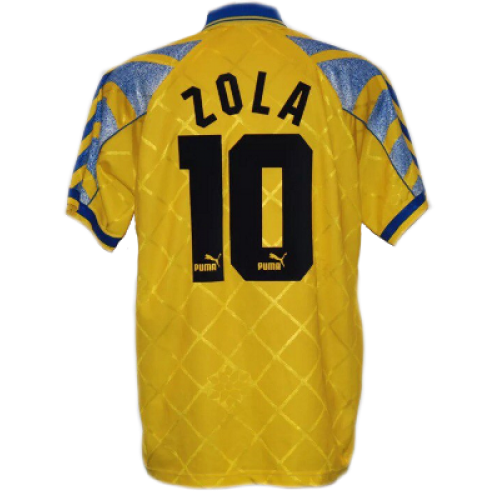 During the 1995–96 season, Zola initially experienced competition in the team with Bulgarian forward Hristo Stoichkov, who played the same tactical role as Zola; as a result, Zola would begin to be deployed in the starting eleven with less frequency, losing his place in the squad, despite scoring 10 league goals. 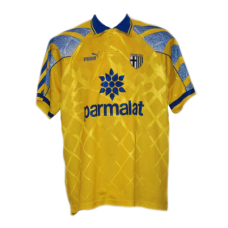 During the following season, manager Carlo Ancelotti came to see Zola as a "square peg" unable to fit into his rigid 4-4-2 system upon his arrival at the club in 1996.